This is – what the instructions for my pans tell me the cake will look like. 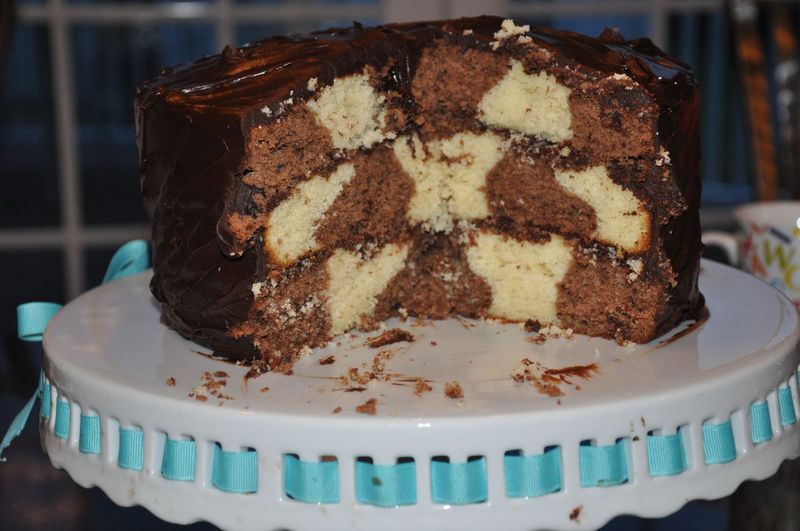 So if you remember this cake fiasco maybe you’ll agree with my trepidation to give this checkerboard thing another shot. 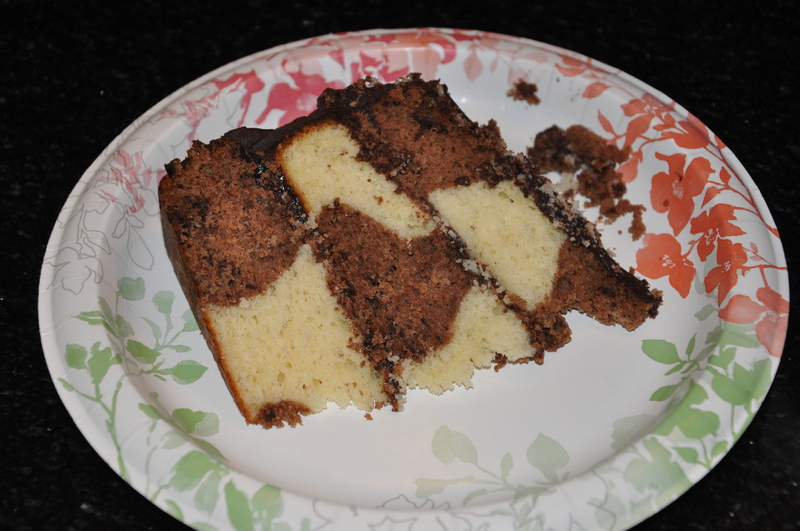 I promised my dad a re-do and a proper checkerboard design this year when he cut into his cake. The tricky part was the recipes had to have a similar viscosity in order to retain their shape. I briefly contemplated doing this method (disregard random russian dubbing), but figured I would stick to my guns and give it another go. To be checkerboard, or to not be checkerboard… that is the question. So I’m searching for two similar recipes, it’s becoming clear that it’s going to be a little tricky. 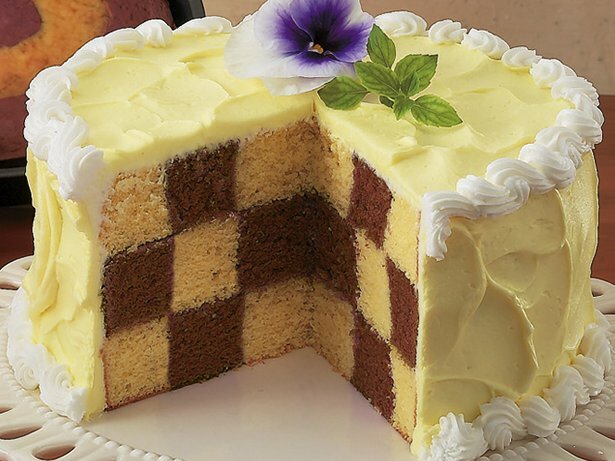 Can someone tell me why the heck is it impossible to find recipes for checkerboard cakes that don’t include the words 1-box yellow cake mix, 1-box chocolate cake mix? Well anyways – after some extensive searching I decided that it was time to start getting creative. I took my regular vanilla cake recipe with a relatively thick batter and made 1.5 batches. 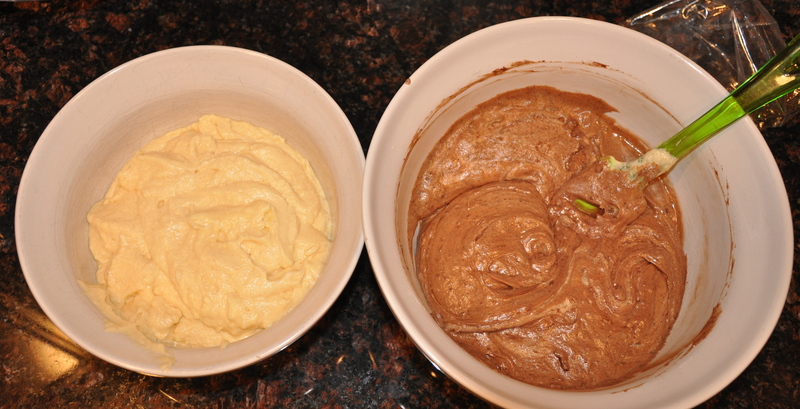 I split them into 2 bowls and added melted dark chocolate to one. 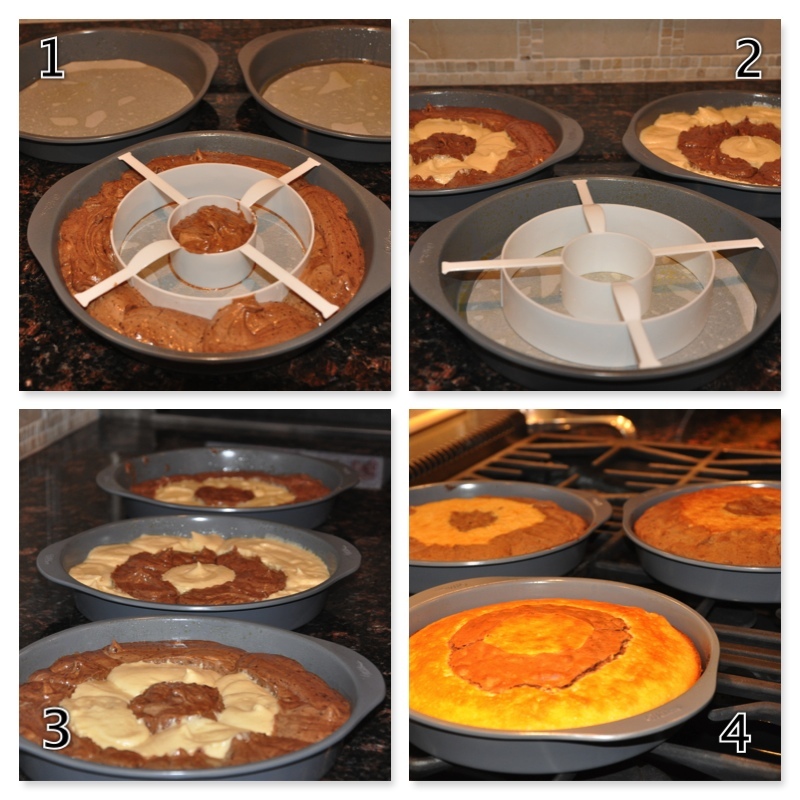 From here, I divided the batter into 18″ pastry bags (because I just bought 100 off Amazon for super cheap!) and piped it into the cake dividers. I think if the batter is thinner, maybe measuring cups could do the trick as well. Whoever thought of this was really creative! 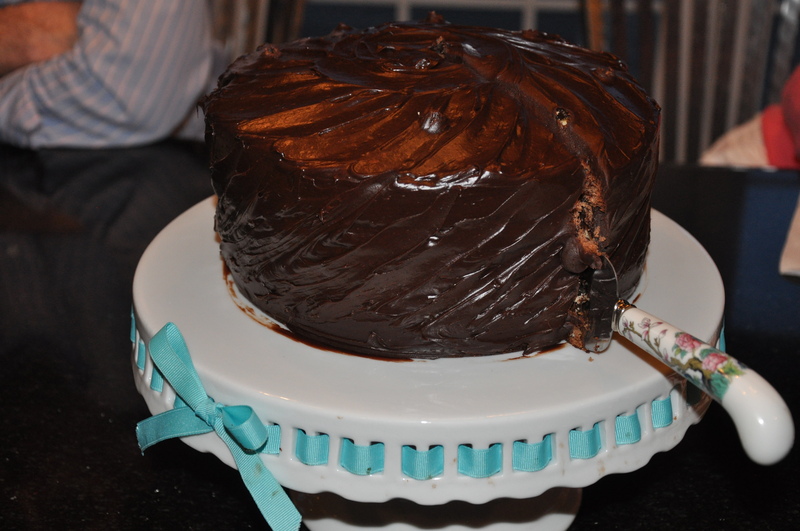 I filled the layers with my absolute favorite chocolate icing …oh whoops, look at that – did I accidentally give the link to the Nestlé Tollhouse page featuring my recipe? Silly Robin! Anyways, it was pretty heavy on the chocolate flavor, maybe some might find it, ‘overwhelmingly chocolatey’ but clearly in this house we don’t ever use those words. Are you curious yet? I was dying. Trying to recreate some of this drama for you, this is like prime-time good stuff over here. Posts have been sporadic and random, but look forward to the BEST strawberry shortcake I’ve ever tasted (or made!)! 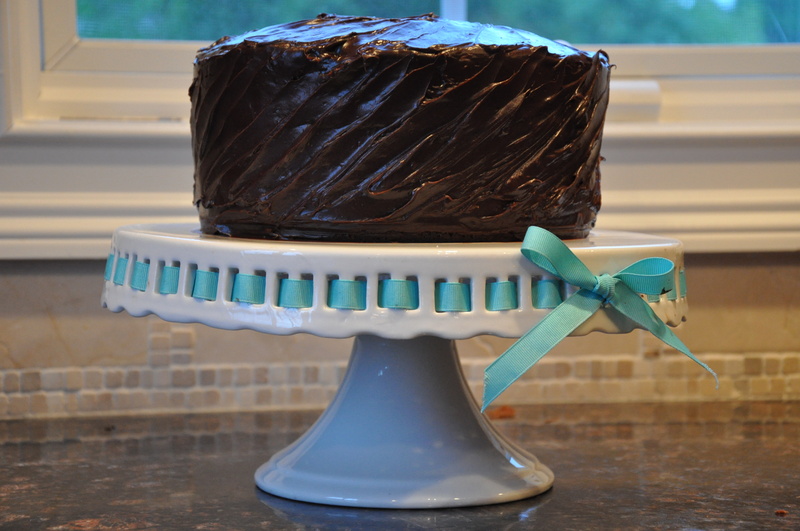 Recipes for an Angel’s Food cake that’s going to rock your socks… so stay tuned! I think that looks pretty fantastic! 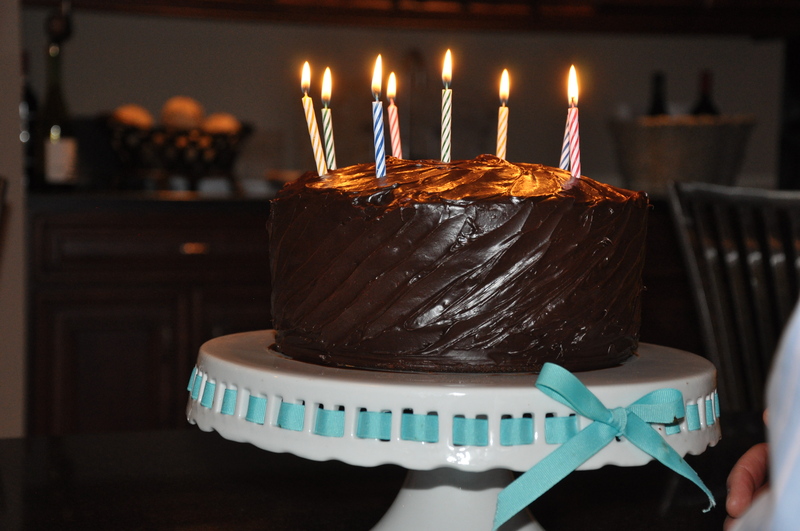 The frosting of the cake is gorgeous, too! :-) Thank you for linking up with Mouthwatering Mondays! OK so we are coming over your house tomorrow night for dinner, and I offered to bring dessert . It will be chocolate but not as wonderful as the home baked items you post here! Such talent! Haha I’m sure its delicious! :D but thank you so very much! :) Enjoy dinner, maybe I’ll see you after work! ← Look out – Pink Zebras!